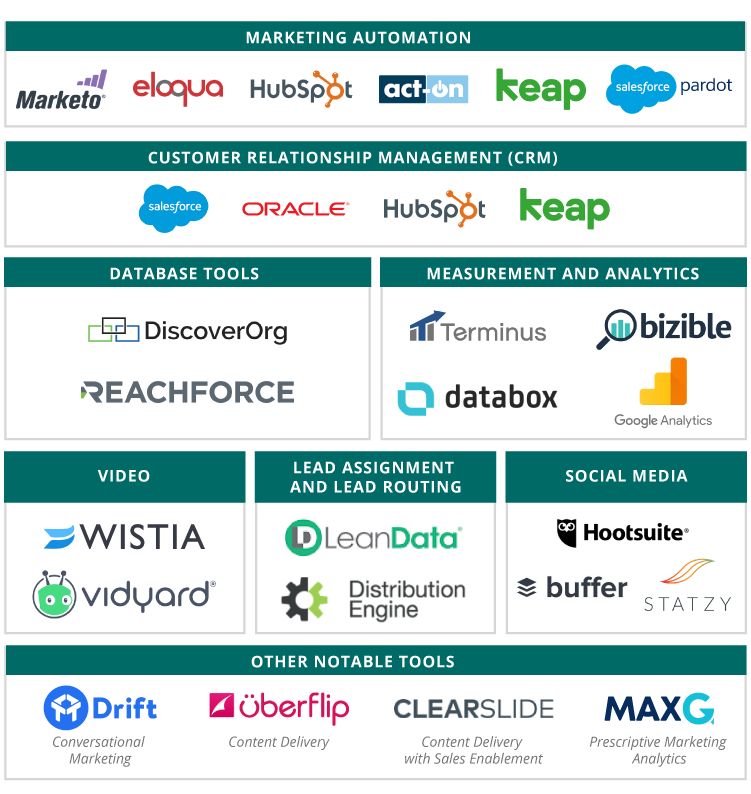 Does Your MarTech Stack Up? What Is The Cyclonic Buyer Journey? Subscribe to our blog and receive demand generation, inbound marketing, sales enablement, technology and revenue generation insights and ideas delivered right to your email. Today’s marketers don’t just love technology, they worship it. For many, MarTech has become nothing short of a savior – an omnipotent, omnipresent miracle worker that allows individuals to do the work of an entire team. But the very thing that’s so seductive about technology – the bells and whistles, the promise of power – is also what makes it problematic. MarTech is sometimes added without proper consideration for how it will be used, and by whom, to achieve business goals. We adopt tools because they’re hot or because someone in our feed suggested it. Too often, marketers are more interested in building a stack that’s a great topic of conversation but doesn’t necessarily work for them. Innovation has given rise to a generation of tech-head marketers capable of quickly and efficiently solving challenges that would have been impossible 10 years ago. It’s also given rise to a generation of gearhead marketers focused on their stacks in the same way guitar players obsess about their rigs. We all want to put together the perfect mix of technologies that will make life easier and help grow revenue faster. However, the adoption of technology alone doesn’t ensure results. With so much MarTech to choose from (thousands of tools designed for a multitude of needs), you have limitless ways to build a stack. So how do you know if your MarTech stacks up? And how do you build the right stack for your business? What Is MarTech, And Why Has It Become So Important? Before going any further, let’s get a couple of basic terms out of the way. If it’s not obvious, MarTech is shorthand for marketing technology. Therefore, it should come as no surprise that, simply defined, MarTech is the use of technology to support marketing. And your stack is nothing more than the technologies you use to support those efforts. Simple, right? Well, sort of. But maybe not quite as simple as the above paragraph would lead you to believe. First, let’s revisit that definition. Although accurate, it is somewhat reductive. MarTech, and your stack, should be more than just a collection of technologies. It should represent a strategy. When properly deployed, MarTech is the foundation for aligning sales and marketing around a common revenue goal and tracking success. So, a more expansive definition would be that MarTech is the everyday use of technology to drive growth, track and measure success against goals, and ensure efficiency of the lead flow from marketing and sales. Marketing and sales have a long history of battling over quality and quantity of leads. That push-and-pull dynamic often led to an awkward coexistence in which internal teams were at odds with one another rather than working together toward a common goal. But today the lines between sales and marketing are becoming less distinct. More than ever, marketing is being held accountable for goals tied to revenue, and sales is more than just the last stop before conversion; it’s an extension of buyer journey and the customer experience. In this more unified world, MarTech can serve as a bridge, aligning sales and marketing around common goals and objectives, while also proving what is and isn’t working. It’s probably not going out on a limb to say that, at this point in the digital age, everyone has a stack of some sort. Some are more complex than others, but you’d be hard-pressed to find a business not using technology to aid in their marketing efforts. You still have gaps in your marketing processes and things get messy when you try to execute new programs. It is not clear what your system of record/source of truth is for lead data and/or results data. You still have no idea how your marketing efforts are truly performing. Sales is complaining they don’t have enough leads or the leads are poor quality, and you can’t prove otherwise. You are initiated with spreadsheets to manage your marketing programs. What Should Your MarTech Stack Do For You? If you’re like most businesses, your stack probably needs some tweaking at a minimum, and quite possibly an overhaul. Before diving into the various marketing technologies available and deciding how to build the perfect stack, it’s important to first understand what MarTech should do. Allow you to make strategic marketing decisions based on performance indicators. 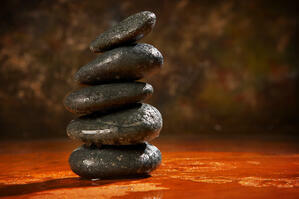 Simplify your life by building in efficiency to support your marketing processes. Provide clear metrics to measure your marketing KPIs. Allow you to scale your marketing programs based on outcomes of success. Align sales and marketing around common goals and efforts. There was a time, not too many years ago, when marketing technology was a luxury most businesses couldn’t afford, and any discussion about it was limited to large enterprises. But the rapid progression of innovation has made MarTech more affordable and more accessible for businesses of all sizes. In fact, it’s now so accessible that businesses are overwhelmed by their MarTech options. There are over 6,800 MarTech solutions with products in more than 50 categories. The flood of specialized technologies is great for people seeking answers to their marketing challenges, but it also adds a layer of complexity to building a stack. There are a lot of challenges in putting together the optimal stack. Often the hardest part is finding the right balance of tools to support your marketing efforts without drowning in technology. Many companies invest in technology with great intentions, only to use a fraction of its features. When tools go unused, they not only fail to solve the problems you sought to address, they fail to show the ROI needed to justify future technology investments. Follow these steps to guide you in putting together the right stack. 1) Design your annual marketing strategy first. What are your key objectives for the year? What do you need to have in place to execute on those objectives. 2) Review your current technology and determine where the gaps are. For instance, you may have an email tool, but it’s not going to give you the analytics you need to determine campaign success and it’s disconnected from your lead flow process. 3) Seek technology that addresses your gaps but isn’t going to overwhelm you with bells and whistles. Stay focused on what you need to do with the technology and how it will work with your processes and other technology. 4) Don’t buy technology for technology’s sake. If you don’t have a process by which to implement and use the technology in your business, and you don’t have a champion willing to own it, you’re not ready to invest in it. 5) Evaluate the different technology options. If a technology solves more than one of your needs, it may be better in the long run than trying to manage multiple platforms. 6) Create a plan for the technology rollout. Who in your organization is responsible for setting it up and using it? Do you need a third party to help make sure it’s set up to support your processes. 7) While MarTech is designed around automation, most technology is not just a flip-the-switch-and-walk-away tool. Every time you’re planning your marketing efforts, you should map out how your stack will support these efforts. 8) Do not buy technology if you are not prepared to use it. What you’ll notice about the above recommendations is that at no point does technology supplant a comprehensive, well-thought-out strategy. Nor is technology the strategy; it’s simply one part of it. MarTech performs its best when used in conjunction with solid marketing fundamentals and practices, not as a standalone solution. Technology is fun and exciting. It’s easy to get caught up in flashy innovations and lose sight of your goals. But if you treat your stack as a set of complementary tools rather than a collection of toys, you’ll be better positioned to choose MarTech that works for you. Square 2 Marketing, the #1 Inbound Agency on the planet, acquired Primum Marketing Communications. We’re on a mission to help our clients generate over 1 million leads. 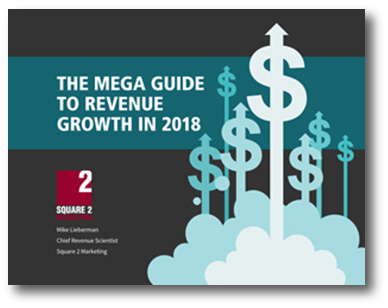 Close this window to learn more about how Square 2 Marketing might help your company get leads . Square 2 Marketing is a data-driven digital marketing and sales agency obsessed with driving revenue for our clients.